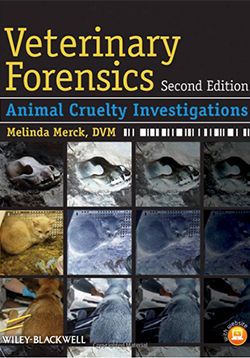 Veterinary Forensics, Second Edition is a practical reference on applying veterinary forensic findings in animal cruelty cases. Now providing a greater focus on findings in animals, the second edition continues to offer guidance with more detailed information on crime scene investigation, forensic testing and findings, handling evidence, and testifying in court. Key changes to the new edition include new chapters on abuse in large animals, poultry, and birds; a standalone chapter on entomology; a new section on large scale cruelty investigation; an expanded section on pain and suffering; more pathology information; and more photos, forms, and information throughout.Logs and workbooks from the book are available on a companion website at www.wiley.com/go/vetforensics, allowing readers to download, customize, and use these forms in forensics investigations. 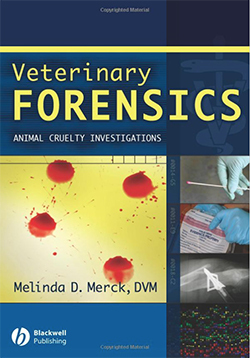 Veterinary Forensics is an essential resource for veterinarians, pathologists, attorneys, and investigators working on animal abuse cases. 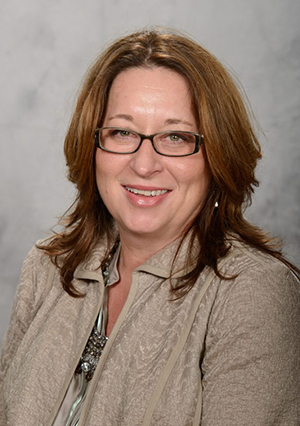 Veterinarians have a key role to play in recognizing and addressing animal abuse. A comprehensive introduction to the field, Forensic Investigation of Animal Cruelty provides essential information and techniques that will help veterinarians respond effectively when animal cruelty is suspected. 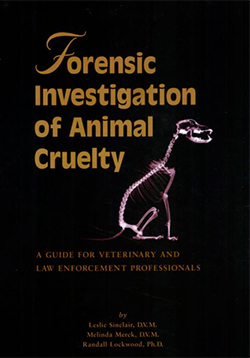 This book is required reading for animal shelter, veterinary, investigative and law enforcement professionals.